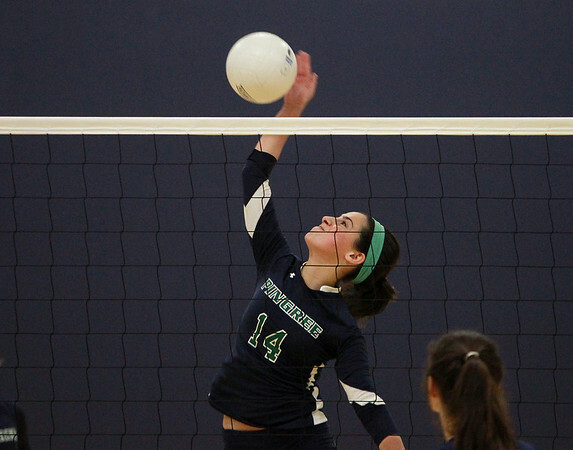 Pingree sophomore Gabrielle Assad (14) leaps high in the air and smashes a return volley against Newton Country Day on Wednesday afternoon. DAVID LE/Staff photo. 10/22/14.